Drill #52 over at SWAT is up and it is a fun one...create a project that includes 5 random facts about you! I went right to a journal spread, here it is. I used a bunch of Viva Las VegaStamps! on this spread! 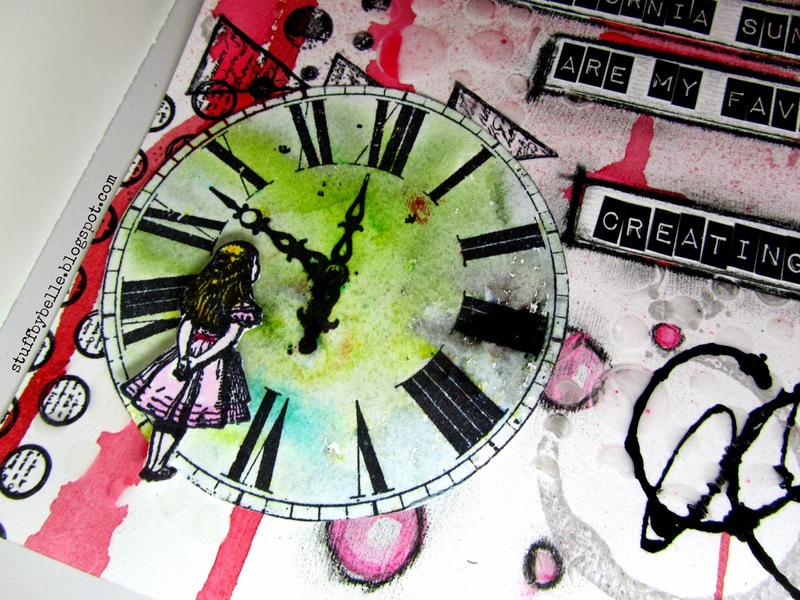 Butterfly Spotted, Writing Triangles, Writing Circles Background, Mesh Texture, Coffee Ring Stain, Clock Face, Grunge Circles and Alice with Hands Behind Back. 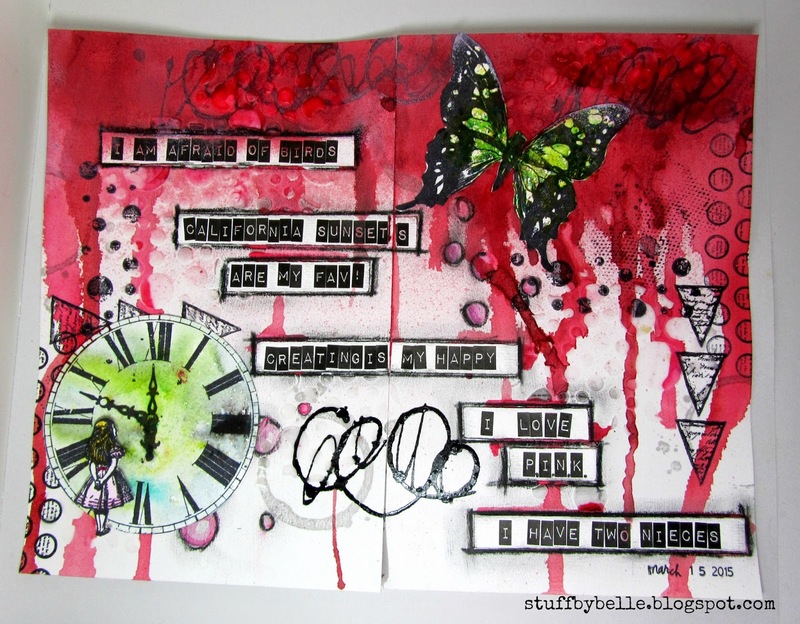 I also used my Art Anthology Coloration Heart, Brusho, Aquarelle pencils, archival ink, clear gesso, Stabilo pencil, Tim Holtz alphas, fineliner with fluid acrylic and air brush medium and Heidi Swapp date stamp. I had to add i bit of color, well besides my PINK! You have until the end of the month to get linked up! I can't wait to learn more about you!! Multi Use Cards???! Oh Yeah! !